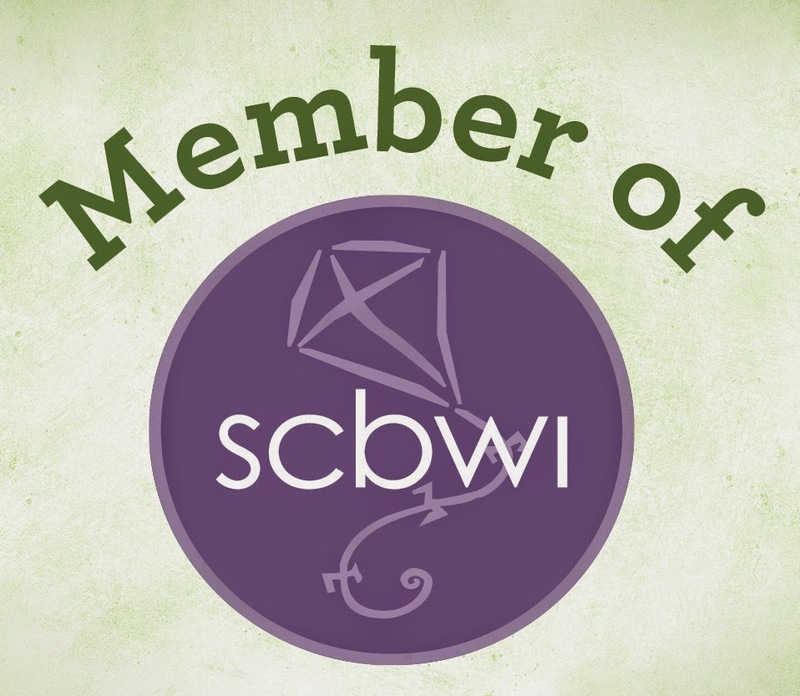 Guest Blogger Bio: Alan Samry is a reference assistant at Fairhope Public Library. He holds a Master of Fine Arts in Creative Writing. He is writing a book with the working title, Legs to Stand On: Stories About Amputees. In the meantime, check out his blog, Stump the Librarian, where he writes of being an amputee and a librarian. He’s married to Susan, a girl whose never been afraid to get dirty. 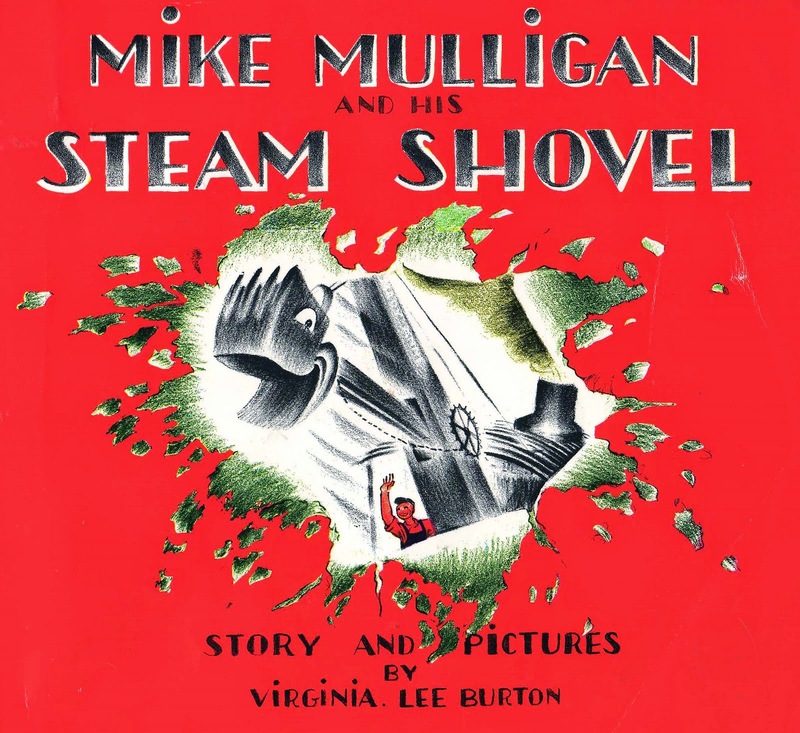 Mike Mulligan and his Steam Shovel, written and illustrated by Virginia Lee Burton used to fill me with wonder and fuel my imagination. I thought I was over the book, you know, been there, done that, bought the T-shirt. I was wrong. Even now, the story brings back memories, conjures the imagination, and sparks my creativity. Mary Anne wears her personification on her dipper, with subtle human eyes, smiling mouth, big eyelashes, and even tears. Mary Anne’s dipper has fabulous facial expressions that match the action on the page, from grimaces and grins, to batting eyelashes, closed mouthfuls of dirt, and mouth agape as dirt drops in brown clouds to the ground. Burton’s sweeping brush stroke illustrations, in the mind of a seven year old’s imagination, move on the page as the shifting boom billows white steam and the black puffs from the “smokestack” blot the sky. As a congenital amputee, my prosthetic leg has characteristics similar to Mary Anne. The leg is a lever, or simple machine and built of manmade materials: metal, plastic, fiberglass, and wood. My motion with a prosthesis, while not machine-like, is certainly awkward, and my gait looked a lot like Mary Anne’s swinging arm. Mike and Mary Anne are challenged to complete a dig in less than a day in the town of Popperville. Once the digging begins, we read Burton’s onomatopoeia as her words match the sounds and motions of Mary Anne working at great speeds to meet the challenge. “Bing! Bang! Crash! Slam!” This reminded me of my mom and dad who told me “not to hop in the house,” and wear my leg or use my “sticks,” or crutches. “A herd of elephants,” is what dad said I sounded like when hopping around. He warned me, “One of these days you’re going to go through the floor!” The prosthesis made other noises, like Mary Anne’s Shovel. A screw loose “click,” a rubbing “squeak,” a weight bearing “clack,” all combined in a magical simple machine symphony. Like the labeled parts of Mary Anne on the inside pages, it was also important for me to understand how things worked and to have labels, or definitions for my human and machine parts. How my prosthesis stayed on, and how my prosthetist used machines and materials to make a comfortable socket were things I wanted, and needed, to know. Back then, prosthetists would often tell my mom and I that I didn’t need an artificial leg. “He’d walk in a flower pot if we gave him one,” I heard Mr. Williams say more than once. That’s where mom got the idea. I remember her threatening to make a flower pot or a planter out of an old leg that I had outgrown. She and I did a lot of brainstorminng about how to do it, but the foot always posed a problem, so we never made one. Mike and Mary Anne do their jobs well. Too well, in fact, as they dig themselves a hole so deep they can’t get out. A classic dilemma, and one we’ve all experienced as children and adults. I am not a golfer, but Mike Mulligan gets a mulligan, a do-over. He and his steam shovel get a second chance in Popperville. The best authors engage our imaginations as we empathize and identify with their characters. 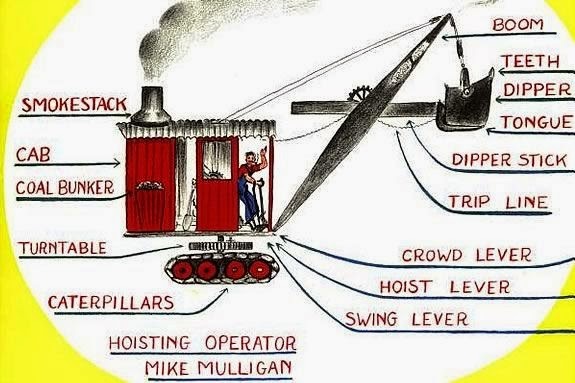 I’m not Mike Mulligan, the little boy standing over the hole, or even Dickie Birkenbush, the author’s neighbor credited in the book with the solution to the problem. I’m Mary Anne! Don’t let her name fool you. Mary Anne’s a girl who loves to get dirty digging in the dirt. She’s a boy’s girl. The kind of girl that would go outside and join a game of pickle, ride a bike through the middle of a deep puddle, talk Red Sox baseball, or “play cars” using real Matchboxes in my imaginary town beside the driveway on Nanumet Drive. Today, Burton’s Mary Anne is an inspiration to readers and writers and an example of our human ingenuity. When people have something that no longer works as it was intended, it can be repurposed to make something new. It’s called upcycling, but I like to think of it as a work of art, just like my favorite children’s book, written in 1939. I take Mary Anne down from the shelf every once in a while. 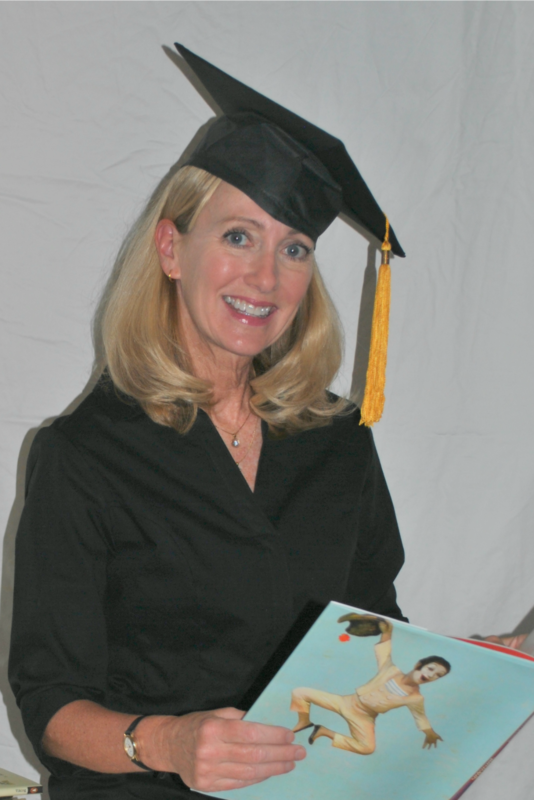 Susan and I are child free, but we still read children’s books, often aloud, to each other. (The Plot Chickens, by Mary Jane and Herm Auch is the latest we recommend.) There is no higher praise for literature then putting it into new hands, so I gave the book to my co-worker Laura to add to her baby’s library. Rereading it again to write this review, I found some wonderful memories of dad, mom, Mary Anne, and myself. I’m continually amazed at how reading fills our imaginations, inspires learning, and shapes our identity no matter our age. This is not the end, check out my upcycled leg! Check out Alan's Blog, Stump: The Librarian. Oh, my STARS!!!! I LOVE this book!!! It's one of the few children's books I didn't pack away, and I know exactly where it is. Captain Kangaroo used to read it to me on the TV and I sat mesmerized. I don't know exactly why. Maybe it was the Southern double name thing of Mary Anne and my name, Leslie Anne, but I adored Mary Anne and was heartbroken every time she was stuck in that hole! As a teacher, I read this book to my classes and they also loved it, although I had to explain what a furnace and a basement was to the Southern Gulf Coast children! What a great and profound connection to Alan's legs! Wow! I'll adore this story for an entirely new reason now. Thanks for the fabulous review Alan! Another classic read-aloud in Miss Leslie Anne's Kindergarten class! Too funny about using the book to introduce new "vocabulary" such as furnace and basement. Alan, this is fabulous! I don't recall reading this book as a child, but, you've made me want to read more children's books as an adult. Great review. A girl can learn a lot from hanging out in the children's section of the library. You've given me a great idea for a future post. Thanks! Awe, what sweet wonderful memories you have brought back to me! This was my son's favorite book when he was a little boy. I have so many fond memories of reading this book to him while he sat in my lap snuggling, those were the sweetest times! He even had a little Mary Ann that sat on a shelf until recently when we cleaned out to paint. How sweet! I can just envision you reading this aloud to Alex. I'm afraid I'm not familiar with this book, though the illustration style definitely strike a chord. Alan definitely has a way with words and gave me so much insight into him as well as the book. I'm definitely going to have to look up this selection the next time I'm in the library or bookstore. Thanks Alan and thanks Karyn! Alan did a great job proving that children's books are for reader's of all ages. Thanks for your comment CraftyHope!